Tour Rome, Florence, Venice, Italy – From Rome to Florence, Venice – Coach Tours from Rome – Tours by bus from Rome to Assisi, Siena, Florence, Bologna, Padova, Venice, Chianti Area, Montepulciano, Tuscany including accomodation and guided tours. A amazing 8-day tour of Italy by bus to discover art, nature and cookery of Rome, Assisi, Siena, Florence, Bologna, Padua, Venice, Montepulciano and return to Rome organized by TourInRome.com. Meeting at the airport or at the train station to transfer you to the hotel. Departure around 7: 15 am. from the hotel by a deluxe bus we will reach Assisi. You will have free time to visit this tiny town, surrounded by well preserved Middle Ages walls. You will have the chance to visit the Basilica of St. Francesco with its masterpieces of Giotto and Cimabue. Break for lunch (not included). Then we will head to Siena. This medieval hill-town surrounded by vineyards, the classic landscapes of Tuscany. See the shell-shaped Piazza del Campo, the town square, famous for hosting the “Palio” horse race. Then we’ll reach our destination: Florence. Dinner and overnight. After breakfast we will visit this elegant city, where the Italian art genius reached his pinnacle. 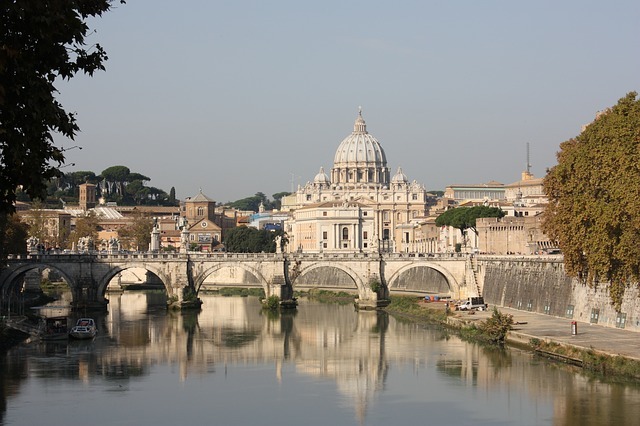 Town of Roman origins, it flourished in the Middle Ages as status of an independent city. Florence is known as the “cradle of Renaissance”, represented by its monuments, churches and palaces. The most important architectural masterpiece of Florence is the cathedral of Santa Maria del Fiore with its magnificent dome, designed by Filippo Brunelleschi. We will continue to the nearby Bell Tower ( designed by Giotto) and the Baptistery with its golden bronze doors (known as the “Gates of Paradise”). In the heart of the city there is Piazza della Signoria, Palazzo della Signoria (also known as Palazzo Vecchio), and the Santa Croce Basilica. Optional tour rome florence venice italy: in the afternoon you can visit Pisa. The power of Pisa as a mighty maritime nation began to grow on and reached its apex in the 11th century when it acquired traditional fame as one of the four main historical Marine Republics of Italy. Then we will admire the Square of Miracles where we find the Duomo, the Leaning Tower and the Baptistery. Return to Florence. Dinner and overnight. In the morning, after breakfast departure to Bologna. The cityscape is enriched by its elegant and extensive 38 kilometers of porticos and 40 km system of fortifications and defensive towers. From Via dell’ Indipendenza, we will go to Piazza del Nettuno and Piazza Maggiore. 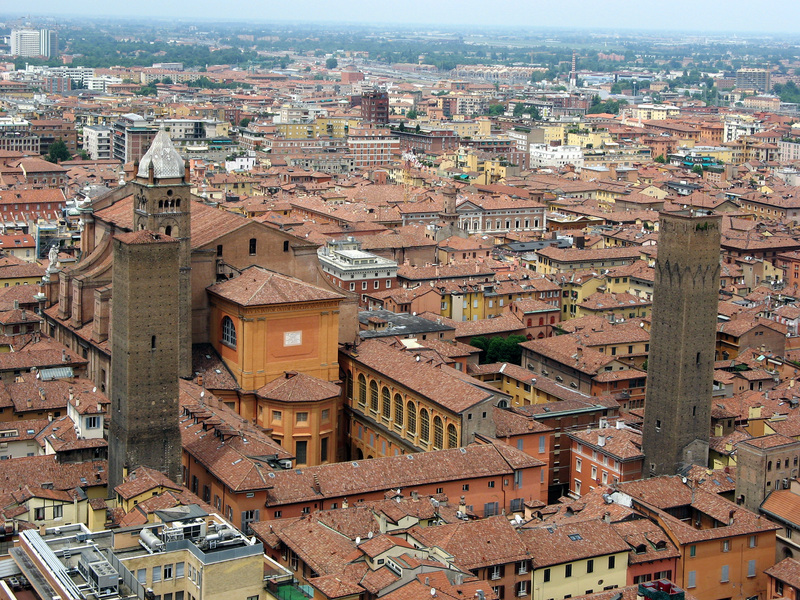 Today, most of the city center of Bologna is pedestrian. Here we’ll be fascinated by the Piazza del Nettuno, King Renzo’s Palace, the Podestà Palace and the Basilica of San Petronio, one of the biggest in the world (during its construction it was intended to be bigger than St. Peter’s in Rome). In the afternoon we will continue towards Padova, with Saint’ Antonio Basilica. In the evening, arrival in Venice. Dinner and overnight. Breakfast. 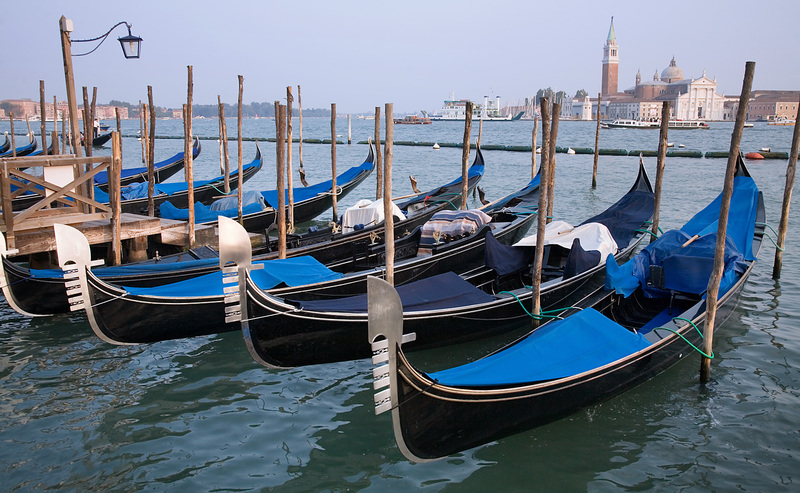 Transfer by ferry to St Mark Square. We will stop at St Mark Square and the Doge’s Palace (visit of the outside), symbol of the authority of Venice, residence of the “Doge” and home of the Government and the Justice Court. It can be reached crossing the Bridge of Sighs. At the end of the tour, there is the opportunity to see the famous Murano glass factory. Afternoon free time. Dinner and overnight. Breakfast and departure from Venice to the Chianti Region in Tuscany. 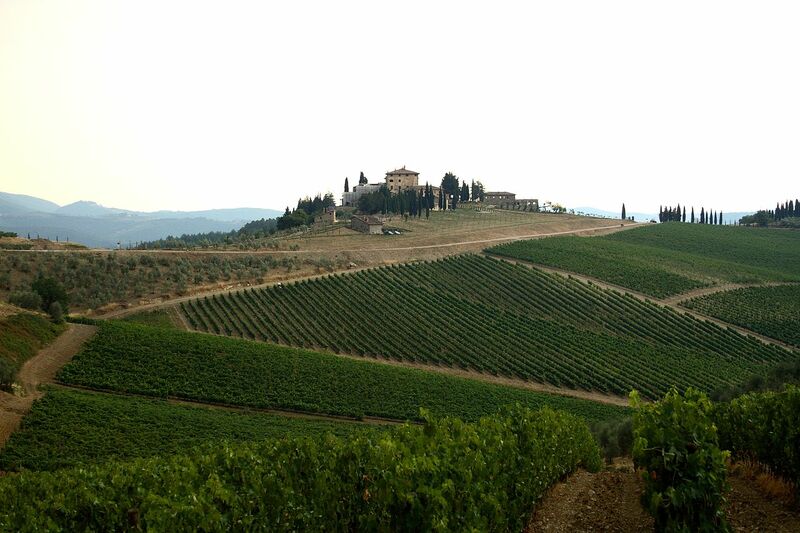 The Chianti is a vast geographic area from the placed between Siena and Florence. The charm of this territory lies in the perfect equilibrium between the soft forms of slopes ant the thousands nuances of color and woods, populated by ancient castles. In this area there is the biggest production of wine. The most famous is the Chianti Classico, made with white and black grapes. Then, we will stop at Montepulciano, situated in the north of Val d’Orcia, known for the Brunello wine. Here it is possible to taste and buy wine. For jazz lovers, in July there is the Jazz and Wine festival. Free time in the afternoon. In the evening we will be back in Rome. End of our tour. afetr breakfast departure from the Hotel at 08:00 am to visit by foot the main sights of Rome, to admire its artistic beauties among which: Piazza di Spagna, Trevi Fountain, Pantheon , Piazza Navona and end in San Pietro Basilica. Afternoon free time at leisure and overnight. Breakfast at the Hotel and transfer to the airport.